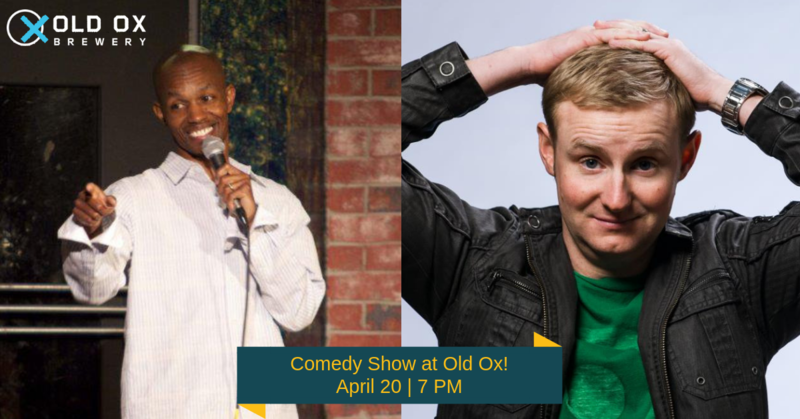 Join us Saturday, April 20 for a night of lagers and laughs from 7:00 p.m.- 9:00 p.m. featuring nationally acclaimed comedians: Keith Bender & Lucas Bohn. Doors open at 6:15 and seating is first come, first served. Get here early to grab a seat, food from Saffron Gourmet and a beer! Tickets are only $25. Get them before we sell out! Get your tickets here: https://bit.ly/2EiKlHi. Lucas Bohn is energetic with an edge. The perfect blend of schoolboy charm and bad-boy charisma, his comedy is both smart and audacious. Known as the little guy who generates big laughs, Lucas has shared the stage with Dave Chappelle, Jimmy Fallon, and Kevin Hart. Lucas’ high-energy shows and hilarious impersonations make him an instant hit with audiences of all ages. In 2013 Lucas was nominated “Comedian of the Year” by Campus Activities Magazine.